“OH, MY GOD…WE’RE NOT ALONE!! That was my reaction when I found out the absolute truth about our existence 26 years ago. I was an ordinary guy, living an ordinary life with no interest in ‘weird’ stuff. Hi, I’m Harold Burt and…. I had spent my entire adult life working for Fortune 500 companies in a conservative corporate environment. I have worked for and with some of the world’s largest, most recognizable corporations. Out of the blue, a friend of mine gave me an audio tape and told me he thought I would like it. I assumed it had music on it. Turns out it was a lecture by a former military officer talking about UFOs. Why in the world did he give this thing to ME? Shortly thereafter, I lost touch with him and never did find out why he gave it to me. Following the lecture on the tape, there was a Q&A session with other former military officers, enlisted men and pilots, both military and commercial. These guys sounded sharp and professional, not like some crazies on LSD. Their stories all lined up, they all had the same experiences. What they had to say, in great detail, was shocking and unbelievable. For some reason I felt absolutely compelled to find out more about what these men were saying. I found out where I could hear one of these presentations first hand. I went to one and many others over the years without telling anyone. I spent the next 26 years researching, interviewing and investigating what I heard on that first audio tape. Although I continued to work a regular job in the corporate world, this research became a major force in my life. Order 2 Copies, Give one to a Friend!! UFOs…OK. SO WHAT? WHO CARES? Without knowing the truth about the existence of flying saucers and alien beings, humanity will never be able to accomplish its most sought-after goals, such as ending world hunger, preserving the environment, eliminating disease, creating pollution-free energy, or traveling to the stars. Whatever it is you are passionate about, you will achieve and create it more easily by understanding this reality. To not know the truth of flying saucers is like not knowing the earth is round, not knowing microorganisms exist, not knowing the laws of physics, or not knowing how children are conceived. 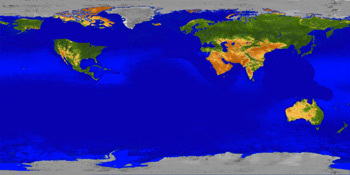 It’s like pretending that China, Canada, Europe, Asia, Africa and South America don’t exist. To know of the existence of alien beings is as important and basic as all the concepts listed above. This knowledge incorporates who and what we really are, our true history, and our real future. It explains how the universe actually works. It will dramatically affect how we view the universe, or understand how the human body works, or how we comprehend the untold wonders physics and mathematics hold. Insider information about the technology UFOs use to fly. Unbelievable clean energy technologies that are being hidden from the public. Incredible details: HOW it’s been kept secret. Astonishing reasons WHY it’s been kept secret. Basically, what the above means is; even if you don’t ‘Get It’ now, eventually you will. Learn These Secrets! Order Now! Get 2 Copies, Give one to a Friend!! At first, you have to know the truth and you will have to learn to Think BIGGER. Here is the absolute truth, presented in a safe, simple, easy to understand way. No mumbo – jumbo. You don’t need to be a rocket scientist to understand this, you just need a good coach to show you the basics. Let’s face it, for a lot of people, the whole UFO thing is hard to digest cold turkey. And even if you do know that UFOs are real, taking the next step to acknowledging that Aliens are real is also a big challenge. So how do you wade through this? How do you make any sense of it? Can’t Handle The Alien Stuff Right Now? Hey, I get it, I know, I’ve been there! So…I put the Alien information towards the back of the book. Maybe by the time you get there you’ll be ready for it. If not, no worries. Just stay with the UFO sections, that will give you enough to think about and have fun with. When you’re ready, the ‘Alien’ part is always available to you on your bookshelf. Yeah, I didn’t make that up. President John F. Kennedy really did say it – Bet you never heard about that before. You think that’s fun? Wait ‘till you see what else is inside! And it’s ALL true, no BS. Stunning statements other U.S. Presidents and Military Generals have made about UFOs and Alien Beings! Discover what Marilyn Monroe knew about UFOs. One more thing. For years I have downplayed and sometimes avoided talking about Extraterrestrials and Aliens. I felt the discomfort level was so high that it was best to just keep people focused on the fact that UFOs were real. It was a good starting point and it seemed much easier for people to accept. And, quite frankly it was more comfortable for me too. However, in the last 2-3 years, the number of people approaching me asking specifically about Aliens and ETs, as opposed to UFOs has been staggering. It’s been most amazing and I can’t account for it. So, I feel obligated to give people as much Alien / ET information as I possibly can. Here was the challenge I had; how to make sense of what I’d learned? I wanted to tell my friends and family about what I learned. But I just couldn’t do it in a way that they got it. When I talked about it, the subject would scare my Mom. So, I decided to figure out a way to tell people in a safe, logical way. My Mom is a school teacher – so I decided to give her small bits in the form of one page summaries. Voila! That did it. She was able to handle the small bits, she felt safe (not like her son was crazy) and she got it. Over the years, my research, interviews and summaries filled up two filing cabinets. They are the basis for my book. That’s how I came to write my book, Flying Saucers 101. By taking each piece of the puzzle and putting it together in a logical, step by step, fun (yes, I said Fun), easy to understand way. Have you had a weird or unexplained experience? Are you concerned about the Environment and Clean Energy? Here’s the problem with the whole UFO/Alien thing. You get bits and pieces of it, but the bits & pieces don’t fit together in a way that makes sense. You see a TV show on a cable network about Area 51 or Roswell. You can’t tell one from the other and they leave you with more questions than answers. I’ve watched all of those shows for years too. I have even appeared on several of them. At first, they’re fun and interesting, but after watching the same things over and over again, they don’t have any relevance to your life and it’s like smelling the cookies, but never getting any. After a while, it gets old, never satisfying, so who cares anyway? But what if you could get the cookies and even more…like a whole pie? Access to Secret government documents that tell the whole incredible story. Discover the ‘In Plain Sight’ locations where UFOs hide. Exciting Insider Information: What other countries know about aliens and UFOs. Discover the best places to go see a UFO. Unexpected locations where UFOs show up a lot and WHY!! Welcome to the REAL world. 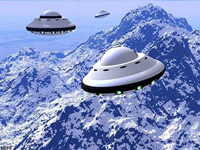 Flying Saucers 101 will help you understand that We Are Not Alone and never have been. For 26 years, my main purpose has been to help people know that YOU are part of a bigger universe. This book is about humanity. This book is about YOU and how to be more of what you are – A Human Being with incredible unrealized capabilities. Inside are powerful tools to help you understand your abilities and expand your humanity. Learn the amazing personal benefits of knowing about UFOs. Uncover the ultimate human power that ETs wish they had. I wanted to write a different kind of book. Flying Saucers 101 is a fun, safe, gentle introduction to the truth about UFOs and alien beings. I wrote this book for the average family. I designed it to be appropriate for pre-teens and adolescents as well as adults. Most UFO books are aimed at people who are already immersed in the topic. I know, because I own a copy of almost every UFO book ever written. So I wrote this book more from a coaching standpoint. Just as it wouldn’t be fair or productive to have your 10-year-old Little Leaguer go to bat against a 95 mile per hour major league fastball – it’s not fair to dunk you and your family into this new reality without some preparation and education. So, that’s where I come in. I’m going to give you some education, history and skills in easy to digest increments. By the way, there is nothing to be afraid of. You’re going to have a lot of fun and your kids will never be bored again with any school subject. They will see everything in a whole new light! So relax and have some fun. Give your children the gift of a lifetime. This journey and discovery together could be a once in a lifetime moment in your relationship with your children. Remember the excitement you had the first time you rode a bicycle all by yourself, with no training wheels? I guarantee you remember who taught you how to ride that bike, right? You will never forget the feeling you had. Just like the bike…your kids won’t forget the feeling they had in learning about this ‘new’ universe with you. Say Yes To This Offer! Here’s something I have learned in talking to kids. First of all, your children already know they are not alone in the universe. They don’t know how they know, but inside, somehow they just know it. They tell me that all of the time without my asking. Your children want to know more about the details and where they fit in to all of this. They can’t understand why adults can’t see that. They talk about it a lot, especially when you’re not around. They’re just not going to waste their time trying to tell you the obvious. What your kids don’t know is the history and why you have chosen to ignore the obvious. They want to know why you don’t want to know. My book will give you and your children the background and the answers. Kids also tell me that their parents for the most part are absolutely terrified at the thought that aliens really do exist. So here is a little preview – there is nothing to be afraid of. The details are in the book, but basically the U.S. military’s stance for the last 65 years is that aliens are not dangerous, but the knowledge of their existence is. What does that tell you? Now, that’s a kid who Thinks BIGGER!! 3 valuable things every parent should know that nobody has told you. Discover hidden assets to improve your children’s future. What your friends and neighbors know that you don’t. The secret Shocking photos NASA has of UFOs (and other things) they won’t show you. Mind-boggling quotes by famous U.S. and Russian astronauts about UFOs and alien beings. Earth shattering scientific facts the astronauts want to tell you about the moon. Amazing hidden secret: Most ETs visiting earth are human ETs! Find out why. If you are a Grandparent, this little message is for you. My wife and I are Grandparents too. Being one, you know there is nothing like it in the world. The relationship you have with your grandchildren is so special and very different from the relationship they have with their parents. While their parents are busy feeding them and getting them to clean up their rooms, you get to interact with them in a wonderful, special way. You get to teach them things on a different level. Things that mom and dad can’t do in the same way that you can. If your grandsons are like mine, they come to you and ask you all kinds of things. Things that they really want to know. Fun, exciting things they don’t ask anyone else. You also tell them really cool things that nobody else can. I loved my grandfather. When I was only 5 years old, he talked to me about the things he was interested in, like music and how machines worked. He didn’t talk to me like I was a baby, he would use ‘grown-up’ words. Words I couldn’t pronounce. But somehow I knew the essence of what he was saying and I remembered the words. Decades later, long after he has gone, I can still vividly remember those conversations…and the words about machines and music that I never heard again until I was in High school. But when I did hear them again, I already knew what they meant. I have never forgotten any of that. It is still one of the greatest gifts I have ever been given in my entire lifetime. And, it was given to me by my Grandfather. Special details of How and Why the existence of UFOs and alien beings has been kept secret from you. Secret government documents inside that tell the whole incredible story. Irrefutable evidence why ETs are restricting our missile launches into space. I want the passion, the love and the information in Flying Saucers 101 to be one of the greatest gifts that you will give your grandchildren in their lifetimes. Like me, they are going to hear this phenomenal information again. But when they do, they will already know it, because they learned it first from YOU! And, they will have learned it the right way, with fun, excitement, passion, exploration and LOVE, not fear. You think taking your grandchildren to their first Big League baseball game is a big special deal? Hah!! I love major league baseball, but that’s nothing compared to this. Be the first to take them to the ‘Universe’ in a way that nobody else has before. Now, THAT’S a big deal…and they will never forget this gift you gave them. Grandparents Get Your Copy Now! Get Extra Copies, One for Each Grandchild!! 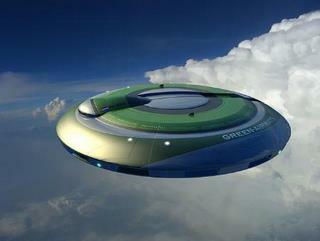 Flying Saucers 101 is also about your children’s and Grandchildren’s future. To ignore preparing them for their future is not only irresponsible, it’s negligent. It’s like not telling your kids about how a plant grows, what bacteria is, or how babies are born. Sooner or later, they’re going to need to know that stuff…and they’re going to need to know that they are NOT alone in the universe. Still Think The World Is Flat? That’s OK. But don’t hold your kids back. If you do a search on You Tube for UFO videos, no less than 750,000 videos come up. And, those are only the ones with a description in English, so it doesn’t include videos from other countries. Here is a preview of what I teach you in Flying Saucers 101. Why millions of pictures and videos of UFOs are ignored by mainstream media. Discover why people think only ‘Gomer’ in the backwoods sees UFOs. The ‘Keep It Simple’ technique to see what the media won’t tell you. Have You Or Your Family Seen a UFO? You’re not crazy and You’re not alone. It’s estimated that there have been over 4 Billion UFO sightings worldwide since 1947. Research indicates that only about 5% of UFO sightings are truly unexplained. The rest turn out to be airplanes, city lights, stars and planets. But even at 5%, that means there have been over 200 million confirmed, unexplained UFO events or sightings. If even ONE of those sightings is an actual alien spacecraft, your whole universe has changed forever. If you or a family member has seen a UFO – then you are a step ahead of most others when it comes to dramatically changing your life and having more fun and excitement. Over 150 million Americans believe that UFOs are real. 71% of the public believes that UFOs exist and that the government knows it. 74% of the public state they are somewhat prepared for the existence of extraterrestrials. 50% state that they are very prepared for the existence of ETs. Because what you saw was truly extraordinary. It exhibited characteristics that you have always been told were impossible. Now you KNOW, not ‘Believe’, but actually know that nothing is impossible. And, you are not alone. What if you could confirm and implement this knowledge to improve your life? Discover amazing abilities you have that you don’t know about. Learn the astounding 10 Secrets of Alien science. Read Incredible personal stories of UFO/ET encounters. This is not just about UFOs and the existence of alien beings. It’s about changing your thinking, gaining new powers of observation and learning awesome new things that you can use to change your life and literally change the planet. Learn the Shocking number of Americans who have seen a UFO. Unexpected ways people’s lives have changed after seeing a UFO. Astonishing reasons why some people see UFOs A LOT and others see none. The amazing reason why some people can see UFOs and others can’t even when standing next to each other. Now you’ll really know what’s going on and be able to talk about it. I have encountered hundreds of families who have had dramatic UFO /alien experiences and couldn’t talk about it. It has affected husbands and wives, parents and children – all because they were afraid to talk about it. I cannot begin to tell you some of the changes and healings I have seen take place within families once they knew they were not nuts and they were not alone in their experience. And, they could finally talk openly about it. Uncover which countries have the most UFO sightings. Revealed - How commonplace UFO sightings really are. Find out who tracks UFO sightings and how you can get updated reports. A Guy Grabs My Shirt!! As I was completing this book, my publisher had some promotional shirts made up with ‘Flying Saucers 101’ embroidered in small letters over the front pocket. Every time I wore one of those shirts people would stop me to ask if it really had to do with flying saucers. When I said yes, they would spill out their own UFO story. I couldn’t stop them. I had a guy literally grab my shirt and hold on as I tried to leave a store. He wouldn’t let go until I agreed to hear him out. The stories I heard were fascinating and very dramatic, but it happened so I often that I just stopped wearing the shirts. Not only that, but I have had friends of neighbors outside my door waiting for me to take out the trash so they could tell me about their UFO encounters. Here’s the point – millions and millions of people have had these experiences. The information is hidden right in front of us – literally, in the public domain! I’m going to show you how to find it. Amazing personal stories of UFO/ET encounters. Mind-blowing, documented, real photos of UFOs from around the world. How to tell if a UFO photo or video is real or faked. Revealed - Which big city International airport sees and tracks UFOs every day! Documented UFO sightings over major cities that you ignored and why you didn’t ‘see it’. Discover how many UFO sightings there are worldwide EVERY MONTH!! Pilots have had some of the most astounding UFO encounters ever recorded. Their experiences are very special. Research shows that statistically, only 5% of UFO sightings are really ‘UFOs’. Pilot sightings often have corroboration from multiple sources, including Co-pilot confirmation, air traffic control confirmation, multiple radar confirmations - both land based and from additional aircraft. By the way, radar cannot pick up swamp gas, lights or clouds. It has to be a physical object for radar to pick it up. For some reason, most people I talk to don’t know this, but pilots do. Pilots, you need this information too. I know you can’t talk about the things you’ve seen due to pressure put on you by private airlines and the government. But, now you will get some background and a context to put that experience in. I guarantee you will be astounded and amazed. 3 Shocking ways the government forces commercial airlines to threaten and intimidate pilots. Jaw dropping secrets NASA insiders know about UFOs they won’t tell you. Astounding insider UFO technology information from military aircraft contractors. Staggering statements about space travel from the Ultimate Aircraft Propulsion Guy. Critical UFO / Aircraft encounters never told to the public. The Amazing reason why pilots of ET spacecraft don’t wear seatbelts. Order Now And Get Started! He can't put this book down!
" My son can't put this book down. Before I got him this book, he just wanted to play video games. Now he is even telling me the things he is reading"
Most investigations into the existence of UFOs and the fact that we are not alone appears, on the surface to be primarily male driven. That’s not actually the case, so I want to address that misconception AND how important women are for our journey into the future. Almost all of the questions and inquiries I get about UFOs, Aliens and Space are from men – it’s 95%. My colleagues in the field report the same thing. Callers into talk radio shows on the topic also have close to that same percentage. And, it’s good that they don’t. Propulsion, spaceships and horsepower is NOT what gets you traveling through the universe. As you will learn in Flying Saucers 101, it’s the properties of space itself that does it. Women also seem to be more connected emotionally and spiritually to how the universe really works. As a guy who used to focus just on horsepower, propulsion and ships, I can tell you, it wasn’t until I learned a lot more about the importance of what I used to think was ‘airy-fairy’ stuff, that the pieces finally began to fall into place for me. If we don’t utilize the keen insight and calming influence of a woman’s perspective, well, it’s like not putting any gas in your car. We’re not going anywhere. Literally, half of all human intelligence and experience is in the female brain and consciousness. Women have also had at least half of all world-wide interactions with our ET visitors. Without gathering and harvesting that information, we the human race will not be participating with the other people in the universe. Your ‘Spiritual’ connection and why it is critical to understanding the UFO phenomenon. Discover why your Emotions are important to Alien Beings and You! The Secret Magic of Sidereal Time and its incredible benefits. Discover why engines, thrust and horsepower can’t get you to the stars. Are you BETTER than your 5 year old daughter, because you can drive a car and she can’t? ETs were once at the same stage as we are, just as you were once at the same stage as your 5 year old. ETs know that, and now you do. So Ladies, Get ‘Flying Saucers 101’ - The Men in your life need your help! Don’t Wait! Buy Your Copy Now! You are not alone in the universe and never have been. So, stop acting like you are. Once you do, you will create and know things beyond your wildest imagination. No matter what your passion or interest is, you will grow and improve dramatically. Discover fantastic abilities you have that no one told you about. Find out why you have never been given this information. Breath-taking information known by the leaders of every nation on our planet. Exciting knowledge that will change your life and the lives of your family forever. As unlikely as it seems, this section (The Story) is the most important thing I have to tell you. I cannot emphasize that enough. Every day I get e-mails and letters from people asking me for specific details about Aliens, ETs, UFOs, Propulsion systems, etc. They are good questions, but they miss the point – they are just gathering random facts. They are like the parable about the 12 blind men trying to describe an elephant. What you need to know is that this phenomenon is not just about facts. There is an incredible story involved. Without the context of ‘THE STORY’, the facts alone do not add up and nothing makes any sense. It is YOUR story, your hiSTORY. You are right in the middle of it and don’t even know it. This is a history that’s never been told. At least not in a way that makes sense. I’m going to tell you in a way that paints a picture, fills in all the pieces one by one and makes sense. You can’t know the truth until you know ‘THE STORY’. The complete STORY presented in a simple, easy to understand way. Amazing untold documented accounts of human/alien interaction going back thousands of years. Why & how the world’s museums routinely and purposely mis-date and hide found artifacts. The reasons why and how this remarkable history has been withheld from you. I’m going to tell you on many different levels what the benefits of reading this story and learning this information will be for you and your family. Flying Saucers 101 is not just about UFOs, it’s about YOU…it’s about humanity. The topic is UFOs and Aliens, but rest assured the subject is YOU. I know that’s subtle, but I hope you understand what I’m saying. It’s not geared just for UFO buffs or ‘Believers’. It is written for everyday regular people. Frankly, I don’t care what you believe. I don’t spend any time trying to ‘convince’ anyone of anything. If a 3 year old told you the sky was red would you spend any time or energy trying to convince her the sky was in fact, blue? Neither would I. My job is to present you with the facts and the story in a logical fashion, then you can make your own decisions. I wrote this book to give you an awesome, once in a lifetime opportunity. If you take it, your life will change, if you don’t, you are going to miss something really special. FUN! Flying Saucers 101 is fun. I designed it that way. It’s a great intro for adults, but kids really love it and ‘Get it’ on a different level. Many adults have some fear attached to the UFO phenomenon. Unfortunately, fear sells and good news doesn’t. Kids don’t have that. They see an opportunity, they see FUN! And, this isn’t ‘News’, it’s simply the truth. ONCE YOU GET OVER THE SHOCK, YOU’RE GOING TO LEARN SOME REALLY COOL STUFF WHICH IS GOING TO CHANGE YOUR LIFE (AND THE WORLD) FOREVER!! What Could You Do If You Had the Wisdom and Knowledge of the Universe at Your Fingertips? How to end world-wide hunger? How disease is created and how to eliminate it? That pollution-free energy is available right now? Re-energize your class and your students. If you’re a teacher, you are in the noblest of professions. Our future generation is in your hands. But, you have a tough job. You have decreasing budgets, limited resources and increasing class sizes. It’s harder to keep students focused and motivated. And, how about you? How passionate are you feeling these days? You may not be able to solve the budget problems, but I can help you see and learn things about your subject that will blow your students away! Now, I know you may not be able to ‘teach’ aliens and UFOs in your classroom. But you can teach your students how to THINK BIGGER and see things about your subject in a new and exciting way. You’re going to learn the new realities of your subject and how it will be taught in the decades to come. Your Students Will Never Be Bored Again! 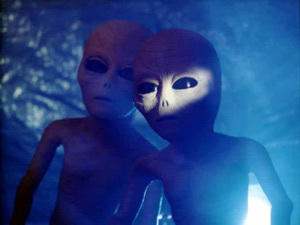 When I found out about UFOs and ETs, I knew that I was actually going to see an entire planet realize we are not alone! It seemed beyond the wildest experience I could expect to have during my entire lifetime. I was going to participate in the greatest change in human history. I knew it would affect every aspect of our existence. The excitement of this inevitable event took over and consumed my life. I could hardly think of anything else. Suddenly I became interested in things I had no interest in before: computers, physics, history, archaeology, math, statistical analysis, geometry, astronomy, sociology, human potential, how the mind works, how the brain works (not the same thing). My aptitude for these subjects didn’t increase, but my interest alone gave me new understandings about the universe that I never had before. I could hardly believe it, but I found myself reading introductory books on quantum physics for fun! If I had been this interested in studying when I was in high school, I could have stormed Harvard or Stanford and forced an advanced degree out of them. The same thing will happen to your students. The Bibliography and Notes sections in Flying Saucers 101 alone are worth the price of the book. There is year’s worth of curriculum material for your classroom right there. Check it out, I guarantee you will love it. No matter what classes you are teaching, you will find something dramatic and compelling in Flying Saucers 101 which will change your student’s lives forever….Yours too! Discover why the physics you are teaching is all wrong! Learn why music teachers and geometry teachers should have lunch together – often! Stunning historical secrets museums around the world refuse to tell you. See dramatic documentation of UFOs in ancient works of art. "Mandatory reading for every college and high school student in the country"
"There is no other book like 'Flying Saucers 101'. It should be mandatory reading for every college and high school student in the country. Harold Burt has done a fabulous job in giving people a complete, overall picture of the UFO/Alien phenomenon. No one is immune, we are all involved in this. No matter what your area of study or expertise; science math or social studies, there is information in here that you need to know." If you were suddenly transported back to the year 1903, to a little town in North Carolina…knowing what you know now, and you heard that the next day, two guys named Wilbur and Orville who lived down the street were going to try and do something really crazy and make some machine they invented ‘Fly,’ would you walk down the street to witness this remarkable event in human history? Of the many groups I have asked this question, nearly 100% said “Yes”, they would. When the Wright Bros. flew their plane in 1903, virtually no one was there to see it. Five people witnessed the flight. No newspapers covered it. Even 5 years after the event, the world’s leading scientific publication, Scientific American declared that ‘Heavier than air flight’ was impossible. Despite the fact that these ‘Brilliant’ scientists saw heavier than air flight every day – Birds! 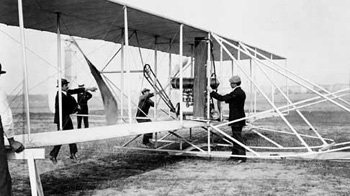 Right after the flight, the Wright Bros. offered to give the U.S. Government the rights to their flying machine for one dollar. The government turned them down, saying it was impossible. Everybody missed it. The very same thing is happening right now …only on a much larger scale. Either you don’t know it or you are simply choosing to ignore it. What’s happening right now makes the Wright Bros. pale in comparison. This is bigger than Columbus and it’s bigger than the Wright Bros. It’s your history – it’s fascinating and amazing. Sorry if you’ve missed it so far, but I’ll catch you up. The greatest scientist in American history that you and your students never heard of. Why you never heard about him and Why you need to. Astounding scientific revelations found in Crop Circles. The amazing hidden history of UFO sightings and human contact. Magellan, the old world explorer was the first visitor to a remote island. The natives had never seen anything like Magellan and his crew before. 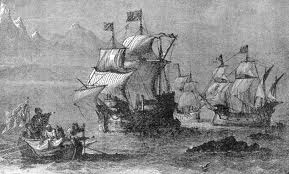 Magellan had anchored his boat offshore and rowed in using one of the ship's small row boats. When the natives asked him how he got to their island, Magellan pointed to his large ship. The natives had never seen a large boat. Such a concept was not in their consciousness. The natives thought the large ships were living creatures, and the small row boats were the children of the large ships. They didn’t ‘Get’ what they were seeing, because they had no context for it. I’m going to give you the context and help you ‘SEE’. How I learned to see the “Change Reel” dot on the screen. Now, I always see it. I can’t ‘NOT’ see it. My first job out of college was working for a small film division owned by the ABC Television Network. I spent a lot of time around film projectionists – those are the guys who run the film projector when you go to your local movie theatre. 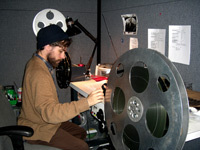 Movies come on big reels and the projectionist has to change the reels several times during a movie. During each movie a small dot appears on the screen for a fraction of second. This is the signal for the projectionist to start the reel change so the viewer doesn’t see a gap in the film. You have probably seen hundreds of movies and I’ll bet you’ve never seen the ‘Change Dot’. I never had either until I learned that it was there and I was taught how to see it. Now I always see it. I can’t ‘NOT’ see it. I used to asked friends watching movies with me if they just saw the dot whenever it appeared. They never did and they got very annoyed, so I stopped asking. things I never saw before. It has been nothing less than incredible. 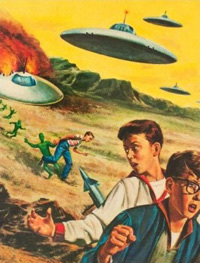 When you read Flying Saucers 101, I guarantee the same thing will happen to you. You will see things you never saw before and It will change your life. Get Your Hands On This Book! Order Now! Are you one of the millions of people who…..
Know UFOs are real, but the pieces don’t quite fit? Have had experiences or encounters you can’t explain? Are you a pilot who has seen something extraordinary, but you can’t talk about it? Did you see something extraordinary while you were in the military and want to know more? Have you had life-long experiences with strange or different beings? Have you had an ‘abduction’ experience or ET encounter and are too afraid or embarrassed to talk about it? ‘Flying Saucers 101’ has all the answers for you! I’m not here to ‘Convince’ you. I’m going to give you the absolute truth with irrefutable facts. If you want to continue to ‘Believe’ that you are alone here in the universe, so be it. But if you already know or suspect that you are not alone in the universe – then I have some wonderful gifts for you. Imagine the wealth you could accumulate and goals you could achieve if you knew the future. Now, you will know the future. After much internal debate, I decided to go ahead and tell you the following. The population of our entire planet is about to discover that we are not alone in the universe. One of the main reasons that many ETs are here is to witness the population of an entire planet (us) discover that we are not alone. This is a big deal. It is like a new baby being born. Do you remember the excitement you had when your first child or grandchild was born? Do you remember what that FELT like? Do you recall the significance of that event in your family? I’m a grandparent – I know how that feels – like nothing else in your life. It’s a rare event in the universe. It doesn’t happen that often. It could be thousands or millions of years before another planet is on the brink of this great discovery like we are. They don’t want to miss it. By the way, The ETs are no more of a danger to us than a grandparent waiting outside of a delivery room. Start by resetting your thinking. This is a once in a lifetime opportunity to change your life forever. You will see everything in your life and on this planet completely differently than you do now. This will enable you to make unimaginable positive changes. People are always asking: “When are ETs going to make contact with us?” That’s not the question or the answer. The real question is, “When are WE going to start making contact with them?” By WE, I mean us, the general public. Right now we don’t even acknowledge their existence. It’s like visiting a foreign country and everyone ignores you, or is rude to you at the very best. Who would reach out to contact that? When you step back, it’s really quite simple to see. If you are a business person in any field, I am giving you the ultimate heads-up, Insider Information. I have spent 40 years working for and with dozens of the world’s largest corporations. You are on the brink of the biggest breakthrough of knowledge and opportunity in the history of mankind. They weren’t just inventions, they were a New Way of Thinking. More importantly, think of the companies that didn’t embrace a new way of thinking until it was too late. When your business embraces the absolute truth that we are not alone, you are going to see business opportunities beyond your wildest dreams. 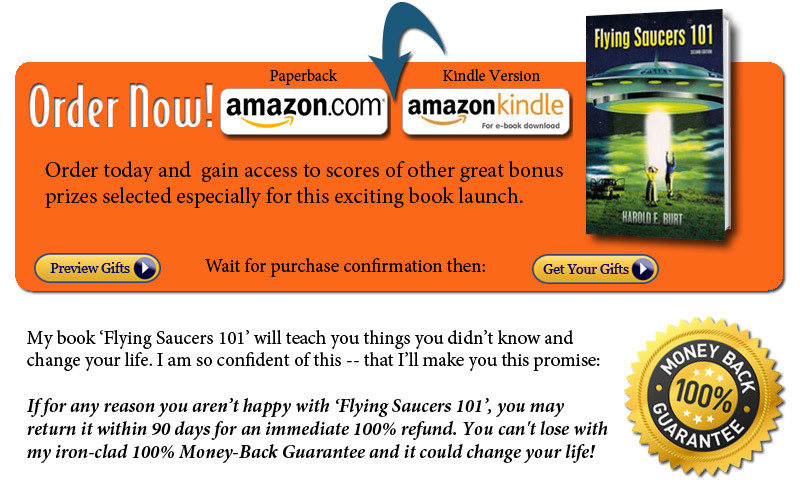 Flying Saucers 101 is a step by step guide to a new way of thinking. Don’t end up like Digital Equipment Corporation, Wang, Polaroid, Kodak and Borders Bookstores. In their heyday, nobody ever thought these corporate giants would become extinct. Start now! Get your Product Development team copies of Flying Saucers 101 and get their juices flowing. UFOs & Aliens - Who cares? What’s in it for me? Enough money available to pay the tuition of every college student in America. The end of World Hunger. New ways to prevent and eliminate disease. Amazing methods to preserve the environment. A better life and future for your children. The remarkable, truth about our history. Over the years I’ve spoken to thousands of people and been asked thousands of questions about UFOs and Extraterrestrials. Many of the answers to the most common questions are amazing. You are going to really enjoy the things you learn. After reading Flying Saucers 101, you will know more about UFOs and Alien Beings than 99% of the population. Why don’t UFOs just land on the White House Lawn? If they’re real, how come we don’t see them all the time? How come UFOs only show up in the backwoods and not in big cities? How many UFO sightings have there been? When was the first UFO sighting? What do ETs really look like? Do they look like humans? Are ETs planning on attacking us? What exactly does the government REALLY know about UFOs? Why don’t they land and say “Hi”? 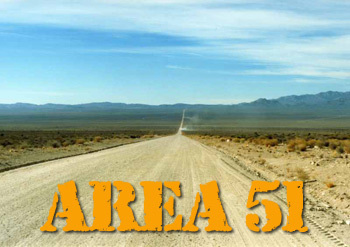 What exactly is ‘Area 51’? what exactly is ‘Roswell’? Why are they important? Are ETs watching us? If so, Why? Are ETs among us right now? What do other countries know and say about UFOs? The Astonishing reason they stopped helping us and what that means for your children. Exciting reasons why ETs are here and how it directly affects you. See Fabulous, documented UFO photos. Learn how Extraterrestrial contact happens completely differently than you think. Extraordinary ET technologies you already have in your home. Find out why ETs monitor us very closely. Learn the shocking truth and details about ‘Alien Abductions’. See spectacular UFO photos taken in the 1880’s. 10 Things you can and should do right now about the UFO phenomenon. See the amazing shapes and sizes UFOs come in. Learn why Carl Sagan only got it half right – and the biggest piece he missed. A new fact of life: What the ‘Government’ is, and what it is not. The shocking ways your child’s future is being stolen. How ordinary people like you communicate with alien beings. Revealed: Do we actually have alien spacecraft? If so, how many? The surprisingly simple reason why ETs don’t talk. Find out why some ETs may be from another dimension or even our future. Revealed – How commonplace UFO sightings really are. If you haven’t been abducted already, find out WHY you won’t be – ever. What intelligence agency insiders have to say about ETs living among us. Details given: Did the aliens that crashed at Roswell look human? You can see for yourself in Flying Saucers 101. Discover what ETs have said about making their presence known. The best documented UFO / ET encounter cases from around the world. Learn how our fantastic internal human abilities far exceed our mechanical technology. Silenced scientists give EXPLOSIVE details about technologies being hidden from you.